Art journals are all the rage and while I LOVE looking at the gorgeous filled pages, I can't help contrasting them with my sketchbooks. 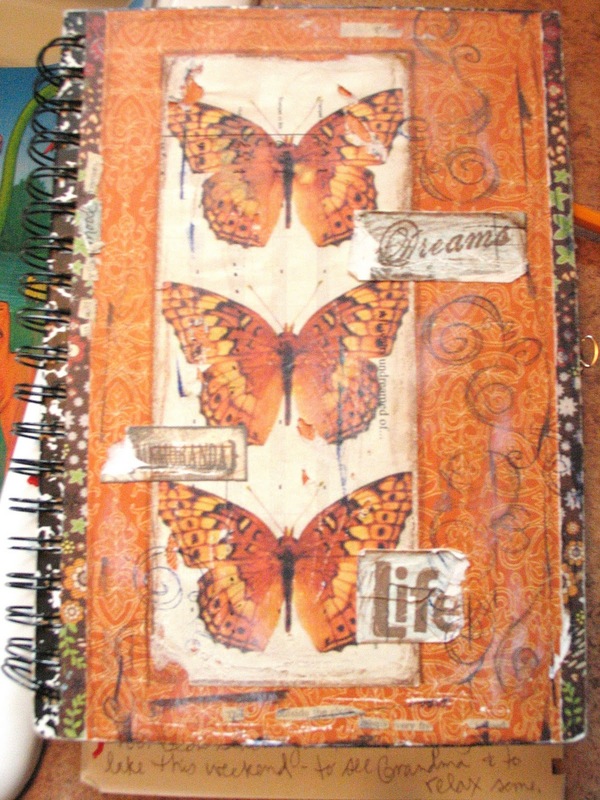 The visual journals are beautiful, stunning, colorful and works of art unto themselves. Mine are, well, not. They are less works of art and more of a tool for me to use as a collection point. I've kept a sketchbook since my figure drawing class in college. The instructor was amazing and forced us to develop sketchbook pages as part of the course credit. I loved it and have usually had one at hand, or in my purse, or with me in the car, ever since. I know several artists will actually keep several sketchbooks at once but I like having all my recent thoughts, ideas, and sketches together in one place. When I've filled that sketchbook I date it and then, start another. I ALWAYS decorate the cover, add ribbons to the side, whatever to make it personal. 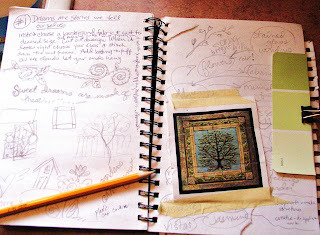 I consider a sketchbook a must have- just curious but what do you do to keep your ideas and thoughts together? Here is a sampling of what I put into my sketchbooks. What got me thinking about this today was the new book, Journal Junkies Workshop by Eric M. Scott and David R. Midler. 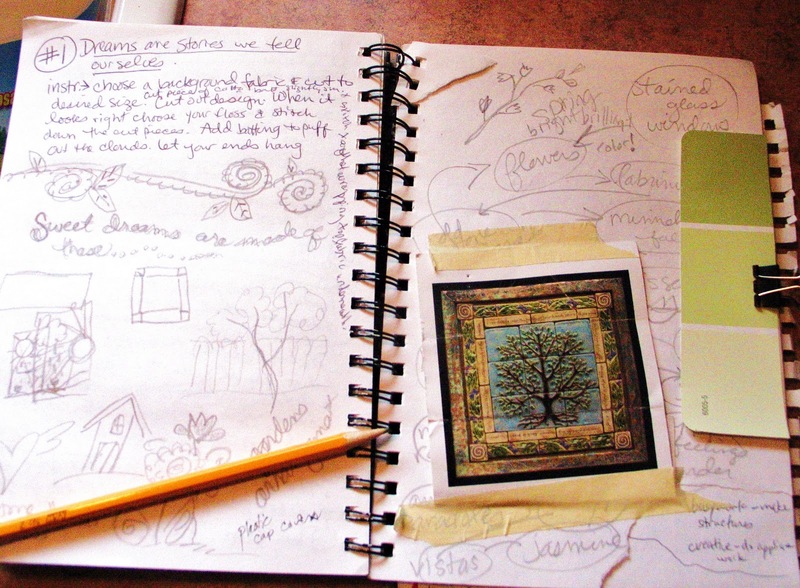 I really like how they sort of combine the "art journal" with my workhorse of a sketchbook. It's a great book filled with techniques and ideas- check it out if you have the chance! And let me know what you use. I'm super curious! I love your ideas!! I am about ready to start this concept so this is perfect timing for me!! 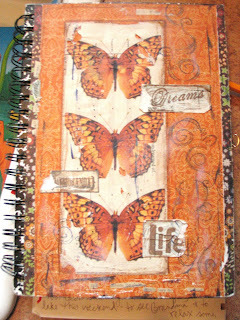 lovely to see inside your sketchbook jen, love the butterfly cover, beautiful!!! Yeah Jen!!! I am so excited to see go and go!!! Beautiful works my friend! i love this peak inside your sketchbooks. i use sketchbooks too or hardcover notebooks and put all kinds of things inside of them....my problem is i have too many and write in each one instead of keeping thoughts and ideas organized to a degree!! its kinda crazy!!! i am excited to check out this book you posted about! thank you for sharing with us!! !